Reedície sa dočkala druhá oficiálna nahrávka Hi Scores (pôvodne 1996) škótskeho elektronického dua bratov Michaela a Marcusa Eoina Sandisonovcov alias BOARDS OF CANADA, nanovo nahratá a zremastrovaná z pôvodných DAT. Album vychádza ako CD digipak a na zberateľskom 180g vinyle. The CD will be placed in a Digi-Pak sleeve with some extra art & the vinyl will have a double-sided 12” poster. The original image on the back of the sleeve will now be in colour. There will be a spot varnish finish on the images & text alongside the usual Skam Braille sticker to give the whole package new depth and a refreshing look and feel. 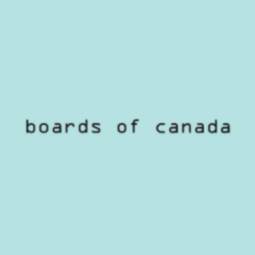 Boards of Canada’s Hi Scores EP dates back to 1996, and thanks to Skam’s reissue of the exemplary recording, we discover that Michael Sanderson and Marcus Eoin gave birth to their Boards of Canada project fully developed and ready to wow. That the pair were able to achieve this isn’t all that surprising given the insane amount of stuff they’d composed together in order to hit upon their distinctive sound. If you sat in your big, worn-in La-Z-Boy with headphones clamped to your ears, and spent hours of electronic enjoyment with the band’s debut, Music Has the Right to Children, you will thoroughly embrace Hi-Scores. You’ll make certain that it’s the last thing you hear when you nod off to sleep and the first thing that registers in your cortex the morning after. (Or maybe you’ll be slightly less obsessed-- these thing vary from person to person.) See, Hi Scores is every bit as sensual and fulfilling as your fondly cherished fantasy date with a high school sweetheart, and not nearly as likely to transform into a shrill- voiced, gossipy administrative assistant when reality impinges. While tracks like “Nlogax” incorporate those electro squiggles that abounded in Rufus and Chaka Khan’s classic 1983 hit “Ain’t Nobody,” while on the record’s close, “Everything You Do is a Balloon,” Sanderson and Eoin mix head- bobbing hip-hop with Eno soundscapes, and dust the glorious confection with an irresistible and shamelessly romantic melody. “Seeya Later” is a similar and as enjoyable a fusion of opposites. And while “Turquoise Hexagon Sun” already made its appearance on Music Has the Right to Children, its familiar warmth and scent are like a beloved woolly sweater amongst these tracks.